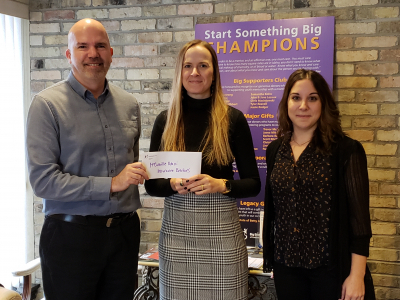 During "No Hunger November", McConville Omni raised a combined 950 lbs of food and garnered a $2000 donation for the London Food Bank and St. Thomas Elgin Food Bank. These resources supports the community during the low-donation period between Christmas and Easter. 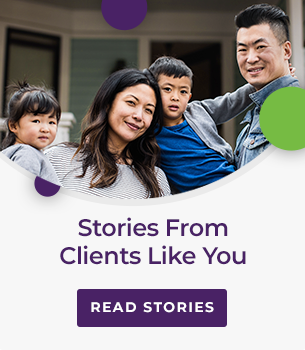 Kate Gruetzner, Personal Lines Supervisor, has been active with Big Brothers Big Sisters of London Area (BBBSOLA) for many years as a big sister. 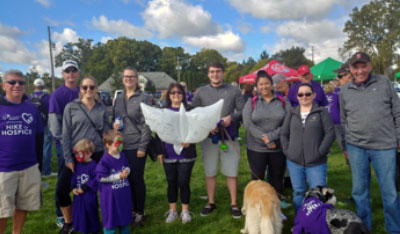 We proudly support Kate in her mission to provide opportunity for youth in our community. 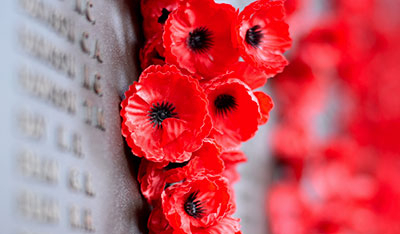 We asked our team at McConville Omni to tell us the story of their family members who have served bravely. Here are a few. A little effort through collecting stamps that Oxfam Canada can sell to collectors helps raise much needed funds. 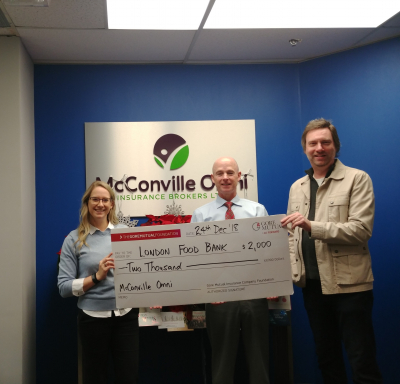 Supporting causes like the Hearth & Stroke Foundation Big Bike Ride is one way that the McConville Omni Insurance team supports a healthy London community. 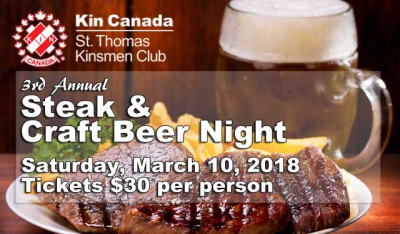 The St. Thomas Kinsmen Club hosts a unique event – Steak & Craft Beer Night - in support of those living with cystic fibrosis. 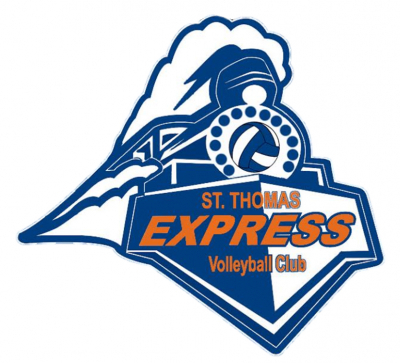 The St. Thomas Express Volleyball Club program is unique because of it's holistic development of each and every child through a focus on teaching two things: joy and technique. Peter McConville, the former owner of our company, unfortunately passed away in June 2017. Prior to his passing, St. Joseph’s Hospice provided wonderful care and support.